This is not the SRT model. According to the service manual you don't change the oil after how many kilometers or miles you have driven the car. The onboard computer system calculates when it's necessary. It depends on how long you have driven the car, how many cold starts, how often it's used and so on. This is only about the oil, there other things that need service when the service alarm shows up too. Read carefully in your car's service manual ! When approaching the time for a oil change the service alarm start with a beep when you start the engine. It will also display instead of km (miles) the days left until the oil should be changed. I have also read that instead of display the days left it can display how long it's left in km or miles. I don't know why there is a difference. In my case I got a service alarm after 15000 km (9000 miles), the service alarm started 30 days before the oil change should be done. If you don't get a service alarm when you have driven the car more then this you maybe shall change the oil even if there is no service alarm. You shall always change the oil filter too when changing the oil. Included with the oil filter there shall be three or four new O-rings (gaskets). You reach the oil filter from top of the engine. A lot of Mercedes models use this kind of oil filter. To get to the oil plug you have to dismantle a plastic cover below the underneath of the engine. When you pour the oil out, do a check how it looks, if it's very dirty or grey because of water leakage. 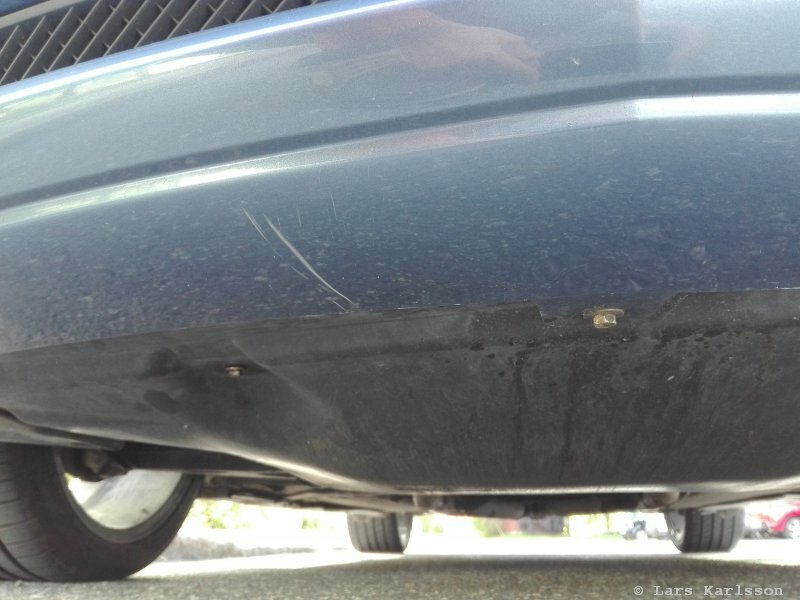 Take the car to a specialist for a check or repair. When reinstalling the oil plug, get a new gasket to it, mine was made of solid copper. 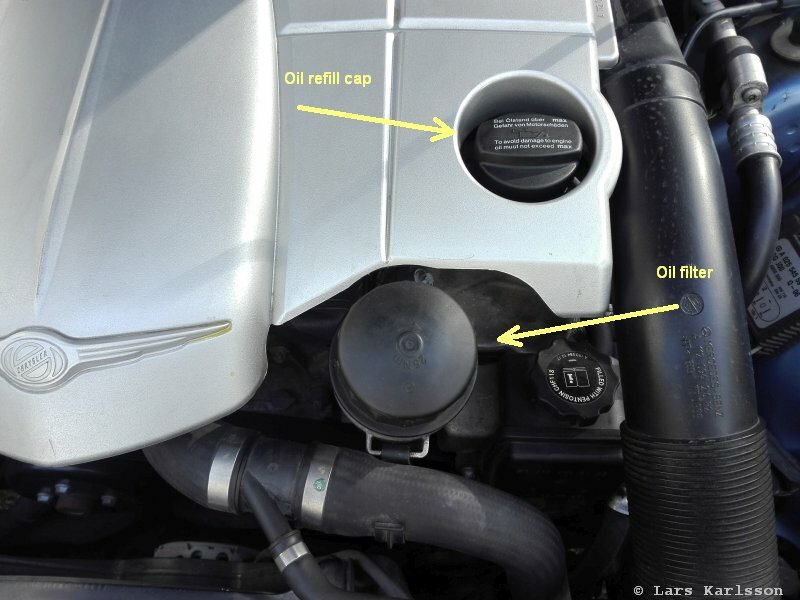 Later when refilling with new oil, check for oil leakage before reinstalling the plastic cover. According to my manual you shall have the following quality of the oil. Check with your own manual also, if there is a difference, use the figures from your manual that belong to the car. According to the manual it take 8 liter to fill the engine and oil filter. I bought 8 liter oil, but could only fill 7.5 liter until the oil stick indicate it was at correct level, check carefully, it's not good for the engine to overfill, of course too little oil also can destroy your engine. 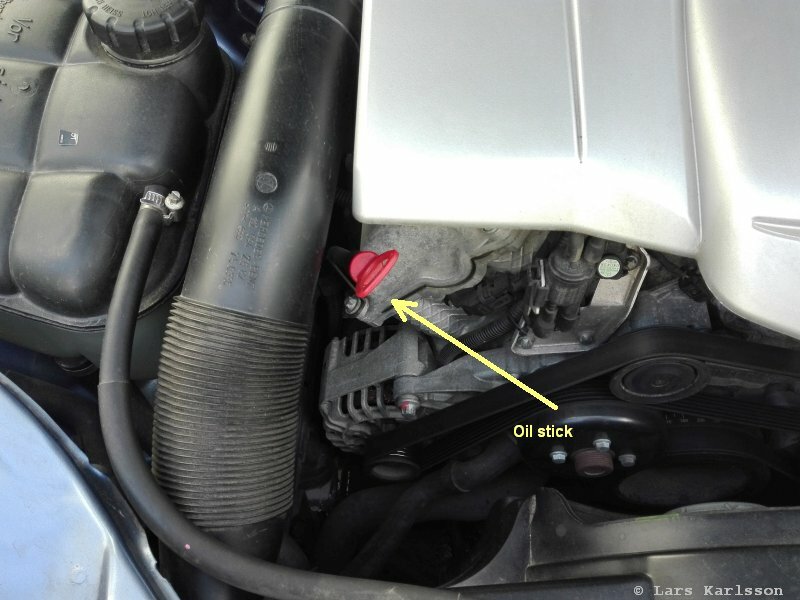 You find the oil stick in front of the engine, the red one. 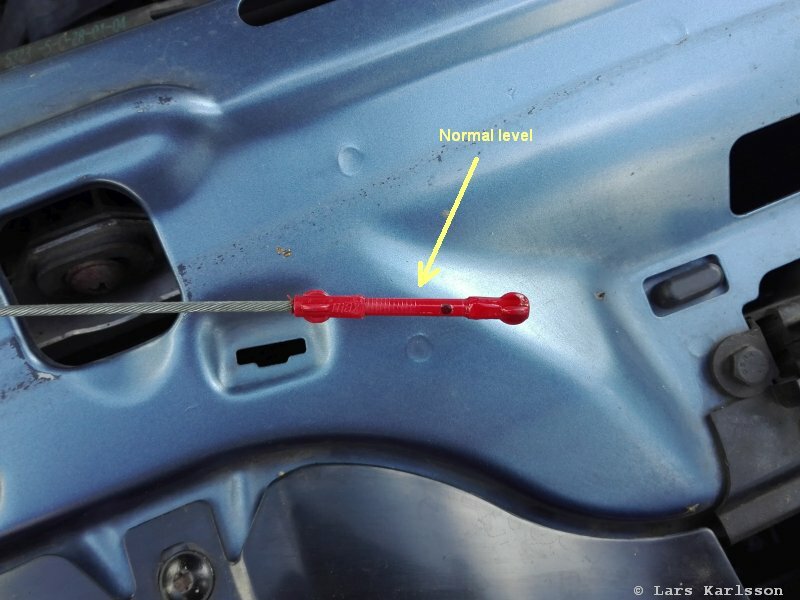 Have the car in level, check the oil level, if correct and no oil leakage, start the engine and let it running for a short time, shut down engine and wait 5 minutes. Check the oil level once again, maybe fill more oil, in my case I added 0.2 liter. Be sure to press the oil stick to bottom of the pipe, otherwise the level indication will be wrong! Now it comes to the tricky part, how to reset the service interval alarm. I had to do it three times until I succeeded to reset it. I must say this was a bit confusing to reset the service alarm and I hope the description above is clear how to do it. Anyway I got to reset it after some attempts. 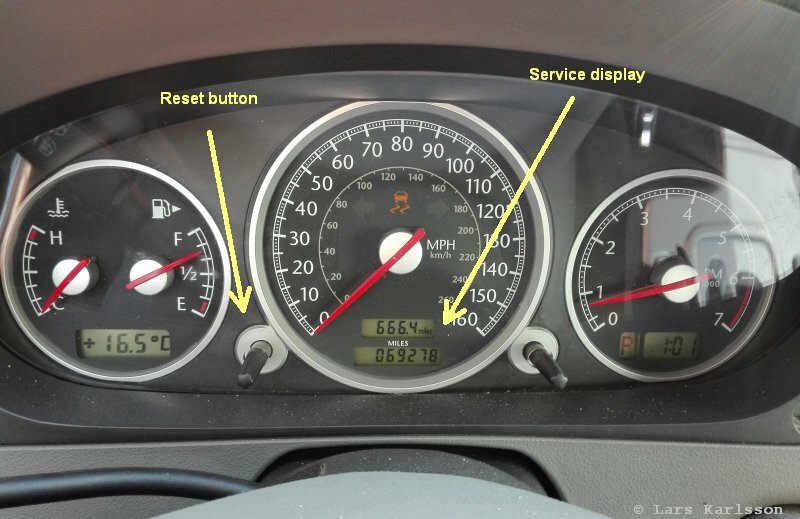 This service alarm resetting procedure should work for Mercedes cars also, models C, CLK, SLK, E class, year about 1997 to 2004.